Fine Arts Center Blog: Happy (belated) 98th Birthday Allan Houser! 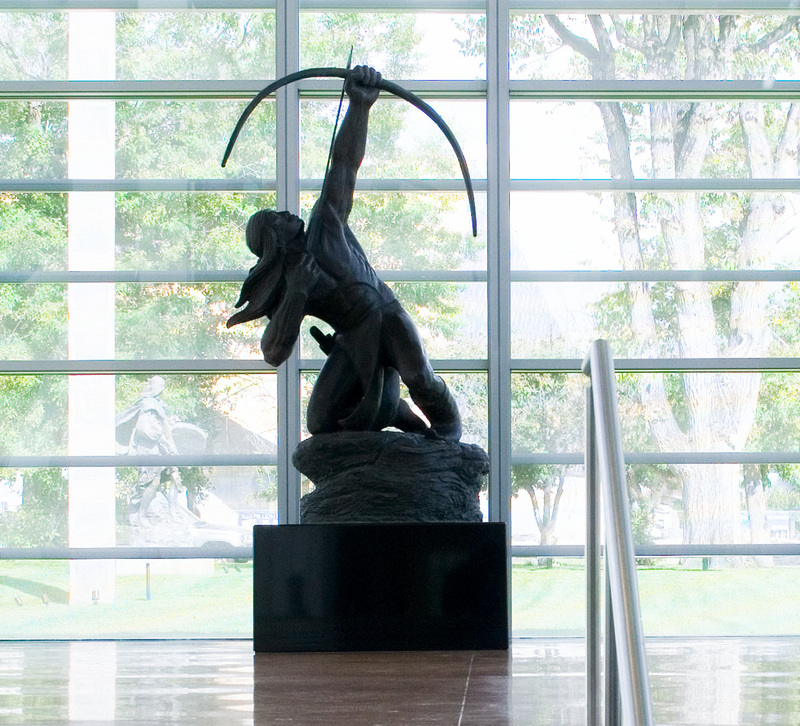 Allan Houser, Sacred Rain Arrow, 1988, bronze. Here's wishing a happy (belated) birthday, to Allan Houser, who would have turned 98 years old this past June 30. During this incredible artist's birthday, our community was reeling from the recent Waldo Canyon Fires, praying and dancing for rain. Now, as our community recovers from the devastating fires and soaks in the past few days of delicious rain, what better time to pay tribute to Allan Houser and his sculpture, Sacred Rain Arrow, currently on view at the FAC. "The pride and dignity that my father saw in all mankind, as well as the strength and beauty he saw in his own people as they fought to preserve their way of life, he carved into immense blocks of stone. He captured those precious moments with delicate sweeping lines in his elegant bronze figures." Allan Houser (June 30, 1914—August 22, 1994) is a Chiricahua Apache artist renowned for his sculptures and paintings. is one of the foremost painters and sculptors of the 20th Century. Houser is recognized for bringing together his Native American experience and the language of modern abstraction, and during his lifetime, was a prolific creator and teacher. In 2011, several pieces of Houser's work were showcased throughout the Denver Botanical Gardens, including Sacred Rain Arrow which was lent by the Colorado Springs Fine Arts Center. Allan Houser painting a mural as a young man (left) and working on Sacred Rain Arrow later in his life (right).